These aluminum frames are over 60% lighter than steel frames. These frames feature a unique slip fit joint that allows for a quick and easy set-up. These frames are great for packing on horses or camping from your truck. Perfect for survival situations especially when used with a Denali wood-burning stove. This internal frame is the easiest way to set up a wall tent. One person can literally set up a tent in less than 10 minutes. The internal aluminum frame (shown here) is the best and strongest in the industry. Made from 1 1/4" aluminum tubing, these lightweight frames are a perfect way to set up your tent quickly and easily. Or you can choose to build your own frame using our Steel Angle Kit (also sold separately) and EMT conduit that is available at most local hardware stores. Our all aluminum internal wall tent frame combines exceptional workmanship with the highest quality of materials to offer the finest internal frame available. Built with heavy duty 1 1/4" aluminum tubing, our frame offers incredible strength without the extra added weight and bulk. These aluminum frames are over 60% lighter than steel frames. These frames feature a unique slip fit joint that allows for a quick and easy set-up. The angle fittings come apart from the straight sections of the tube to make it more convenient and compact. 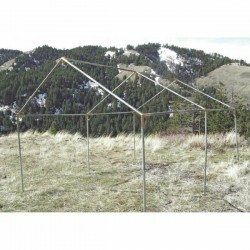 This internal frame is the easiest way to set up a wall tent. One person can literally set up a tent in less than 10 minutes. In addition, it provides the most space without getting in the way as well as provides plenty of places to hang gear such as clothes and lanterns. The Food Storage Guys are always focused on the QUALITY of our products first because we want you to get the best value for your hard-earned money. 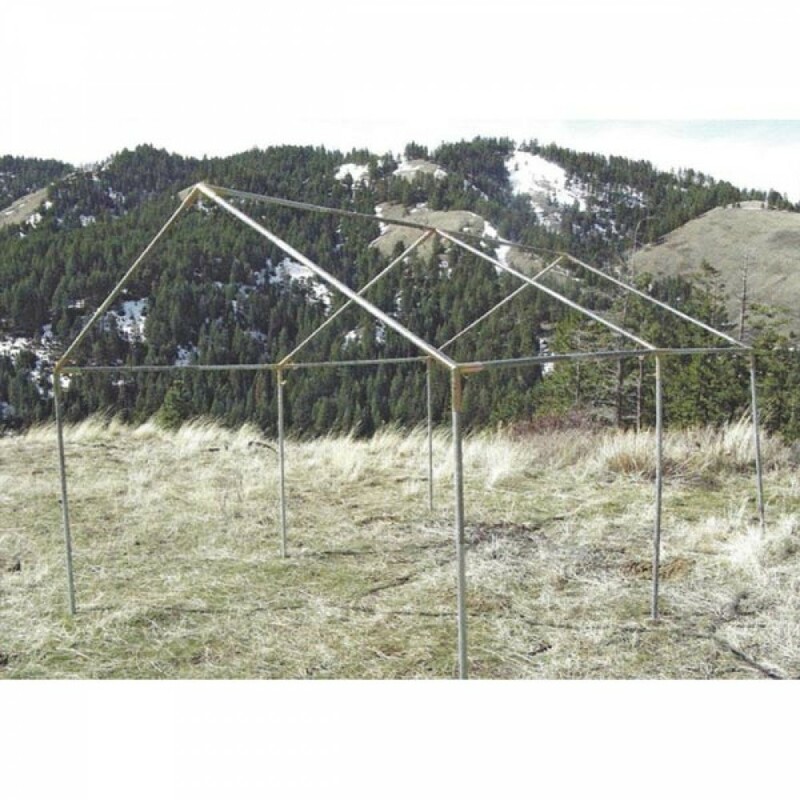 (1) 16' x 20' Magnum Aluminum Wall Tent Frame - does NOT include tent.